What’s really at stake in the great rural broadband debate? Since early 2009, Texas A&M University’s Telehealth Counseling Clinic, in Bryan, Texas, has been offering free mental health counseling sessions to underserved individuals in the rural Brazos Valley Region. The program began in Leon County to the north and, over time, expanded to four other surrounding counties. 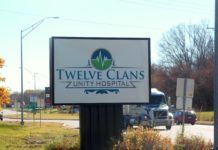 The clinic and five community centers, one in each county, are outfitted with big screens and HIPAA-secure high definition teleconferencing equipment. Doctoral students, under the supervision of a licensed psychologist, sit in front of the screens and connect to patients at the centers through a business class internet service paid for by the communities. Patients are required to travel to their local community center for at least one counseling session using video, said psychologist Carly E. McCord, PhD, an assistant professor at the Texas A&M School of Public Health and the director of clinical services at the Telehealth Counseling Clinic. But many of the follow-up sessions are done from patients’ homes. The same reasons that keep patients from traveling an hour or more to Bryan, where most mental health providers in the region are located, prevent them from traveling five minutes down the road to their community center, she said. “They don’t have a vehicle or they don’t have funds to put gas in their vehicle or their physical health is so poor that it is difficult for them to leave the house,” said McCord. But there is a problem with doing home sessions, she said. They’re done by phone and without video. That’s because many patients do not have high speed internet access and so cannot support video on their personal devices. And many are low income and cannot afford a smart phone that could handle video through a software application. Not all patients need to make visual contact with their counselors at every session, but it certainly helps, said McCord. “That’s why the digital divide is so important,” she said. Telehealth includes much more than patients videoconferencing with remote health care providers. It allows medical specialists at regional and urban hospitals to examine patients in rural hospitals and emergency physicians to provide care to patients being transported by ambulance. It allows general practitioners to virtually examine patients at home and nurses to monitor the vital signs of a patient discharged from the hospital. Health care providers can exchange health information, from health records to x-rays and CT scans, while patients can access their health care provider’s patient portal to check on test results. But the necessary bandwidth—the amount of data that can be transmitted in a fixed amount of time—is not always available in rural America. Telehealth usually requires broadband, which, at its most basic definition, means the ability to move large amounts of data over telecommunications networks quickly. However, “large” and “quickly” are relative terms, and their meaning has changed over time as the uses for broadband have expanded and become more sophisticated. 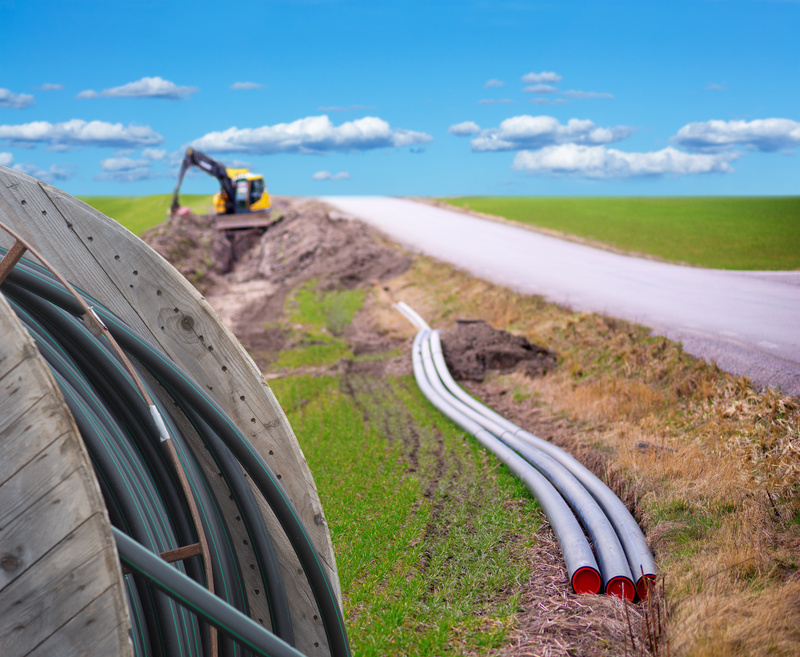 Three years ago, the Federal Communications Commission redefined fixed broadband, which is typically delivered over copper wire, cable or fiber and, in some of the more remote areas of the country, over fixed wireless. That’s where the signal travels wirelessly between a fixed transceiver installed in a home or building and a telecommunication company’s transmission towers. The FCC raised the minimum download speed from 4 Mbps to 25 Mbps—megabits per second—and the minimum upload speed from 1 Mbps to 3 Mbps. In a stroke, the agency more than doubled the number of rural households without broadband access at the time, from 20 percent under the former standard to 53 percent under the new one. 87 percent of rural Americans are without access to high speed mobile LTE services. The FCC does not set a minimum broadband standard for mobile wireless service. Satellite technology currently delivers less than 25/3 Mbps, and the latest generation of mobile wireless that connects cell phones and other mobile devices, 4G LTE, can provide speeds of 10 Mbps down and 1 Mbps up, according to the agency. (Open Signal, a company that measures mobile network performance, says the latest data show an average download speed for 4G LTE of about 14 Mbps.). 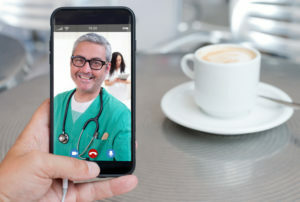 4G LTE is fast enough for video conferencing and for monitoring the biometric data of home-bound patients, said Patty Upham, director of FirstHealth Home Care in North Carolina, whose nurses monitor patients for the first 60 days after discharge from FirstHealth’s health system. “4G has been very successful,” said Upham. 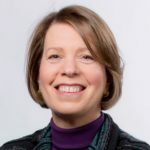 “Patients can have a blood pressure cuff near their bed, a scale in their bathroom and a tablet on their kitchen table,” said Upham, “and it all connects wirelessly through Bluetooth.” The tablet then transmits the data over the 4G mobile wireless network to FirstHealth Home Care’s secure website. Nurses also conduct video visits with patients using the tablets. But 87 percent of rural Americans are “without access to LTE services with a minimum advertised speed of 10 Mbps/1 Mbps,” according to a 2016 FCC report. That compares to 45 percent of Americans in urban areas. Even where fast mobile wireless service is available, it is not fast enough for a physician to listen to breath sounds or perform a remote eye exam, according to experts. For the kinds of telehealth that require the quick transmission of a lot of data, fixed broadband is necessary. But there again, the digital divide, while shrinking, is firmly in place. According to the 2016 FCC report, 39 percent of rural Americans lack access to fixed broadband with the latest minimum standard of 25/3 Mbps, compared to four percent of Americans in urban areas. “We have a moral and statutory obligation to do better,” said then FCC chairman Tom Wheeler in a statement when the report was released. Rural counties are 10 times as likely as urban areas to have fewer than 50 percent of households with fixed broadband access and more than 10 percent of residents with diabetes. More than 60 percent of rural Americans live in counties that have high burdens of chronic disease, such as diabetes, as well as low broadband connectivity. Hospital stays that could have been prevented with appropriate care are 150 percent higher in counties with the lowest broadband access. The FCC reports and the mapping platform looked at household broadband access, but Brian Whitacre, a professor in the agricultural economics department at Oklahoma State University, wanted to know what kind of access hospitals and other health care providers, such as clinics and medical practices, have to high speed broadband. After all, much of the most sophisticated telehealth services are between regional or urban hospitals and their rural counterparts. The latest government data available is from 2014, and Whitacre found that once again, there is a large digital divide. Forty-two percent of metropolitan hospitals had access to download speeds over 50 Mbps, while 22 percent of non-metro hospitals had access to such fast broadband, he found. The gap was even wider for clinics, private practices and other non-hospital health care facilities. Fifty-six percent of those health care providers in metro-areas had access to fast download compared to 10 percent in non-metro areas. NTCA represents independent telecommunications companies in rural and small-town America and advocates on behalf of its members in the legislative and regulatory arenas. 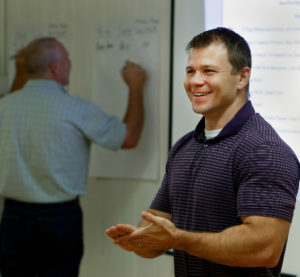 Rural America’s local telecommunication companies are doing their best to close the digital divide, said Joshua Seidemann, vice president of policy for the NTCA, the rural broadband association which represents nearly 850 independent, community-based telecommunications companies. Fiber provides the highest speeds, said Seidemann. And the biggest barrier to providing all rural customers with fast broadband is the cost of running that fiber, he said. His organization’s members typically have 5,000 to 20,000 customers, who live in areas with a population density of maybe one person per square mile. “Sometimes you’re going to have to run a mile of fiber for just one household,” said Seidemann. “Or you might have a cluster of houses, but there can be miles in between those clusters.” In addition, the terrain can be challenging, he said. NTCA members serve 40 to 50 percent of rural America, said Seidemann, with the rest served by the big national companies, such as AT&T, Verizon and Frontier. But those publicly traded companies, who answer to shareholders, are going to invest in areas where they will earn the greatest return, and that is not in small communities in rural America, he said. “If you are served by a publicly traded company and you live in a rural area, by and large you will not have access to robust broadband in the manner that you would have if you were served by our members,” said Seidemann. Residents in rural communities do not have much choice of provider, according to FCC data. Only 13 percent of rural Americans have more than one service provider offering fixed broadband, compared to 44 percent in urban areas. On January 8 at the American Farm Bureau Federation Convention in Nashville, Tennessee, President Trump signed an executive order to streamline the permitting process for building broadband facilities on federal land. “Those towers are going to go up and you’re going to have great, great broadband,” said Trump. He signed a second executive order directing Secretary of the Interior Ryan Zinke to develop a strategy for expanding rural broadband. 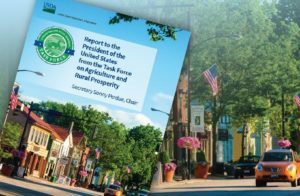 In April 2017, President Trump issued an executive order establishing the Interagency Task Force on Agriculture and Rural Prosperity “to ensure the informed exercise of regulatory authority that impacts agriculture and rural communities.” U.S. Secretary of Agriculture Sonny Perdue presented the findings of the Task Force in a 43-page report (PDF). The executive orders implemented some of the recommendations in a report released the same day by the president’s Task Force on Agriculture and Rural Prosperity. The task force identified rural broadband as fundamental to promoting rural prosperity and recommended the formation of a rural broadband strategy. It also recommended revising federal regulations to encourage private investment and reviewing the effectiveness and duplication of federal broadband programs. But Tim Marema, the editor of the Daily Yonder, a nonprofit online news site focused on rural issues, called the report “long on rhetoric and short on specifics” in a recent article. The federal government has several programs to help close the digital divide. The Rural Health Care Program helps eligible health care providers pay for telecommunications services, including broadband. It has two parts. The Healthcare Connect Fund, established in 2012, provides a flat rate, 65% subsidy to eligible healthcare providers. The Telecommunications Program, established in 1997, ensures that eligible rural health care providers pay no more than their urban counterparts for telecommunications services. The FCC has $400 million a year to spend on the Rural Health Care Program, an amount that hasn’t changed since its inception. But in 2016, for the first time, the program was oversubscribed. “So everyone had to have a pro-rata reduction in the amount of money that they otherwise would have gotten because demand exceeded supply,” said Virginia attorney Jeffrey Mitchell, who specializes in FCC policies. The FCC has the authority to increase the cap, said Mitchell, but he thinks that is unlikely. “There is a sense now in a fiscally conservative environment that the FCC probably wouldn’t do that unless they got some clear indication on a bipartisan basis that Congress wanted the FCC to increase the amount of money available in this program,” he said. “We have been hearing from many in the healthcare community about the situation and are carefully considering the appropriate response,” said FCC spokesperson Katie Gorscak in an email. The Connect America Fund is another, much larger FCC program to bridge the digital divide. That pot of money, capped at $4.5 billion annually, goes to the telecommunications companies providing voice and broadband connectivity in rural areas. However, carriers receiving money from the program do not have to meet the FCC’s latest minimum standard for broadband. Instead, they are required to provide only speeds of at least 10 Mbps down and 1 Mbps up. Under the program, AT&T rolled out fixed wireless internet service with those speeds in 18 states between last April and September. In addition, “There is some concern that the money in the Connect America Fund is not enough to do what it is supposed to do,” said Mitchell. On January 16, FCC Chairman Ajit Pai addressed those concerns, proposing to add more than $500 million to the fund. It is now up to his fellow commissioners to negotiate amongst themselves and vote on whether to adopt some form of the order. 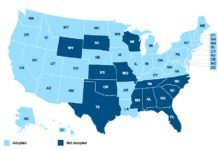 Twenty-two states have programs that support carriers providing telecommunications services, including landline phone service, wired broadband, fixed wireless and mobile wireless, in high cost and remote areas, according to the Maryland-based National Regulatory Research Institute, the research arm for utility regulatory commissions of the fifty states and the District of Columbia. “State high cost funds generally support the smaller rural carriers. It is not going to the cable companies. The cable companies are outside this formula,” said Sherry Lichtenberg, principal researcher at the institute. New York has begun a particularly aggressive program to bring high speed internet to every state resident by the end of 2018. Launched in 2016, New York’s Broadband for All is using $500 million from bank settlements after the financial crisis for matching grants to companies who will build networks providing broadband speeds of at least 100 Mbps (download) in most places, and 25 Mbps in the most remote, underserved parts of the State. Meanwhile, several bills have been proposed in Congress that seek, in one way or another, to expand high speed broadband across rural America. For example, the Advancing Innovation and Reinvigorating Widespread Access to Viable Electromagnetic Spectrum Act, or the AIRWAVES Act, would encourage the government auction of more spectrum—the invisible airwaves over which signals and data travel—that would make next generation wireless broadband networks, called 5G, possible. 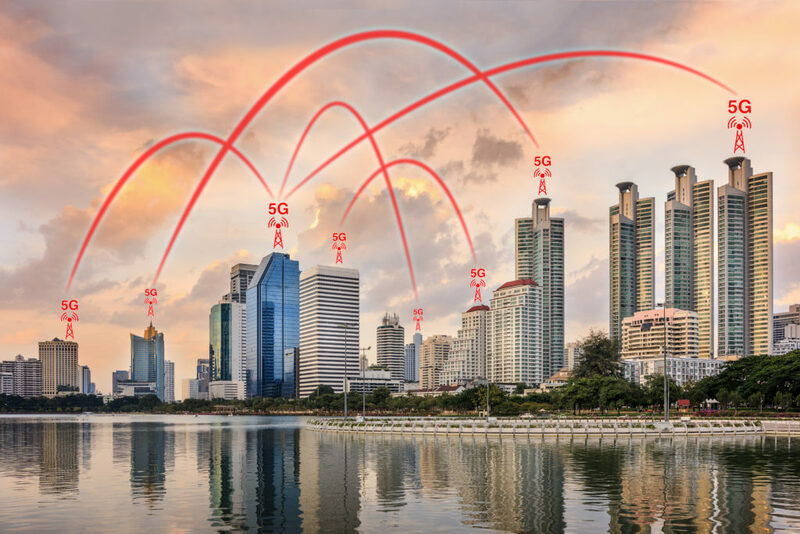 AT&T, Verizon and T-Mobile are currently piloting 5G. The bill also would require that 10 percent of auction proceeds go to building wireless broadband infrastructure in rural communities. But 5G itself is not the solution for rural access, say many experts, including Blair Levin, a non-resident senior fellow at the Brookings Institution, a think tank in Washington, D.C., and a former FCC official in the Obama administration where he oversaw the development of a National Broadband Plan. That’s because 5G, even though it is wireless, still needs fiber between a provider’s base station and its transmission towers. In the meantime, the FCC is considering setting a speed benchmark for mobile wireless networks for the first time, at 10/1 Mbps. In addition, the FCC is considering deeming an area to be served by broadband if it has access to such mobile wireless service, even if 25/3 Mbps fixed service is not available. The result of both proposals, if approved, would be to suddenly increase the number of households considered to have access to “broadband” without any changes to actual service. In other words, the FCC could define away much of the problem with a stroke of the pen. In reaction to that prospect, a group of eleven organizations committed to accessible broadband kicked off a social media campaign in January to convince the FCC not to make such a change. Its message appears to have gotten through. The FCC has not yet scheduled a vote on the proposals, but industry observers say it is possible the vote will take place in mid-February.